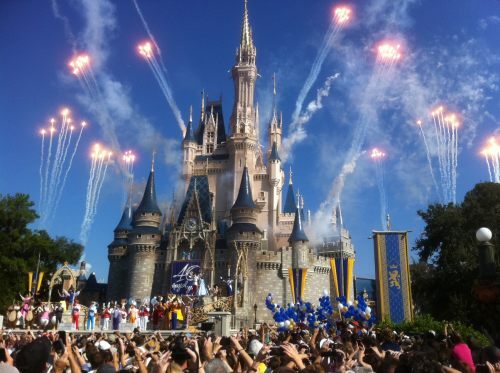 WestJet is showing a few non-stop flights from Vancouver to Orlando, Florida for an incredible price of $281 CAD roundtrip including taxes. One set of dates over Easter is available. These will likely disappear very quickly. They are available as of 2:38 PM PST. The price will show up as $204 USD roundtrip including taxes, which will work out to $281 CAD when booked using a Canadian credit card, and including the typical credit card foreign exchange fee. There are also 1-stop flights from Vancouver to Orlando available in May and June for $302 CAD roundtrip including taxes. The price will show up as $219 USD roundtrip including taxes, which will work out to $302 CAD when booked using a Canadian credit card, and including the typical credit card foreign exchange fee. Update 1/18 - Non-stop flights from Vancouver to Orlando, Florida on WestJet have now dropped to $281 CAD roundtrip including taxes in February, March, April, and May 2017. April 14-19 is currently available, for Easter travel. The price will show up as $208 USD roundtrip including taxes, which will work out to $281 CAD when booked using a Canadian credit card, and including the typical credit card foreign exchange fee. Priceline offers free flight cancellation within 24 hours of booking, giving you a bit of time to decide after booking. vancouver, yvr, flight deals, westjet, florida, orlando, mco, united states and north america.